Offering over 50 varieties of carefully selected premium gourmet loose leaf tea, you can rest assured that each and every tea has been taste tested by thousands of customers who have visited No. 10 Palmer Place Tea Room since 2000. Our tea assortment reflects our customer’s favorites. It is our mission to provide our customers with these favorites supplied by the best tea growers the world has to offer. Just like a collection of fine wines, we are certain to provide you with the perfect tea for all of your special and everyday occasions. Tea isn’t just our business, it's our passion. In order to better focus on this passion, Patricia Dennison, president of Palmer Place Fine Teas made the decision to close the tea room in 2011 to devote her time and resources to online tea sales. Patricia is certified by the Specialty Tea Institute and the World Tea Academy and brings a wealth of knowledge to Palmer Place Fine Teas. A visit to www.palmerplacetea.com will provide our customers with one stop shopping to satisfy all tea tastes and brewing needs. Patricia loves sharing her knowledge of tea, and is available to present an informative tea talk to your group. Send your inquiry via the email link below. 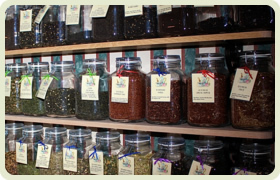 If your travels take you to Northeast Ohio, stop in to Sisters Tea Room in Mentor, OH where you can enjoy a pot of freshly brewed Palmer Place Tea or take home a pouch of your favorite blend. Visit the Sisters Tea website at www.sisterstea.com for more information about this charming tea room.